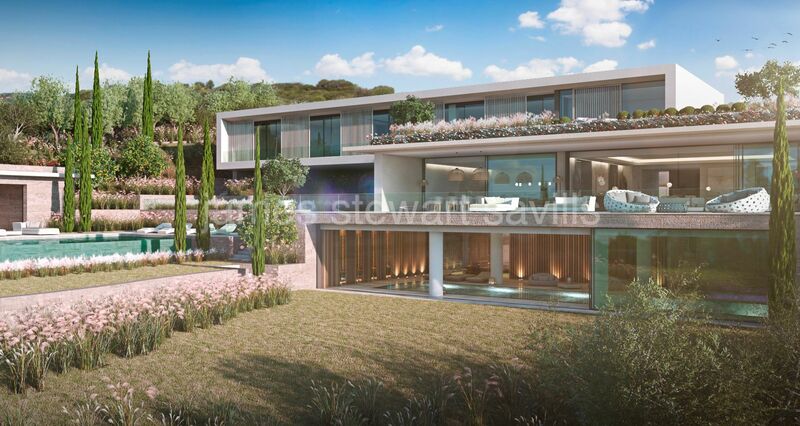 The first years of La Reserva were governed by its then owners’ understandable determination to gain quick returns from the real estate opportunities that presented themselves in those highly speculative years which came to a shuddering and dramatic halt in 2008. The result was empty plots and even a few unfinished houses. The golf course, with a couple of exceptions, was generally well ‘routed’ but its condition was sometimes far from perfect and little landscaping had been undertaken to enhance the surrounding natural beauty I have already referred to. The overall result had been somewhat disappointing although the depth of the recession had taken everybody by surprise. It is now exciting to be able to sit down and write that that disappointment is diminishing fast. 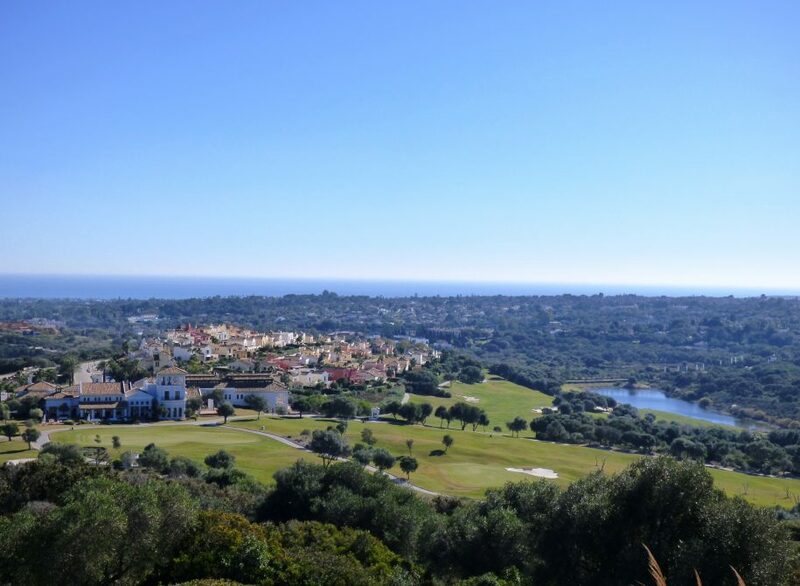 As I have noted in recent blogs, the purchase of Sotogrande, S.A. from its previous owners, NH Hotels, was a critical moment in Sotogrande’s history. The new owners, Orion Capital, identified La Reserva as the star element of their new investment and immediately created a new logo incorporating Pluto’s 8 pointed star which became the emblem and symbol of the people of Andalucía. This rather ironically replaced a logo whose main feature was an owl, generally thought of as a sleepy bird! The golf course was immediately upgraded and I when played there recently it was a joy to see how newly landscaped areas have now matured to create some extraordinarily pretty scenery over the second nine holes. La Reserva was fenced in green around its entire perimeter and the Clubhouse, which had previously blotted the landscape like a monstrous red mausoleum, was handsomely refurbished and painted to give a softer, elegant impression from its imposing position in the centre of La Reserva. 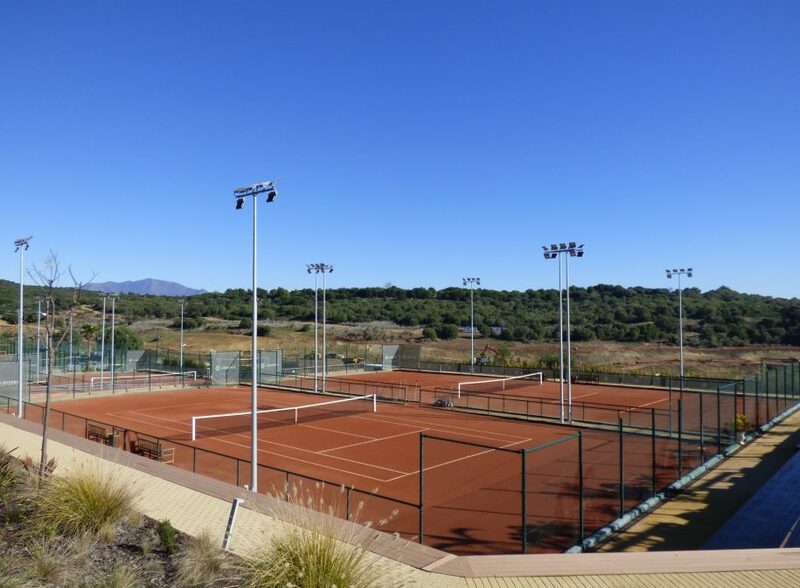 When tennis and padel courts were added, the message was loud, clear and hugely encouraging – the new owners meant business. And the message couldn’t be further removed from the previous somewhat tainted philosophy of trying to sell as many plots of land as fast as you can. In the fact, the philosophy is hardly based on the end product of bricks and mortar either. La Reserva is now about a lifestyle, a paradise for families in discreet and secure surroundings with La Reserva Club as its key and central element. 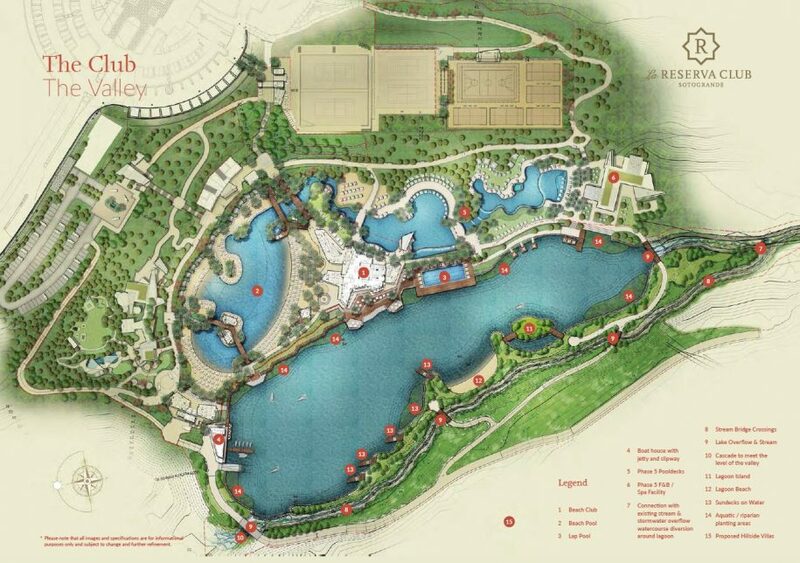 Work is now well underway on the creation of an inland beach club which will look over a white sanded lagoon adjacent to which there will be a lake where children can learn to sail and practice the basics of windsurfing. Next will come a spa and wellness centre whose standards will easily surpass anything ever seen in this part of Europe. 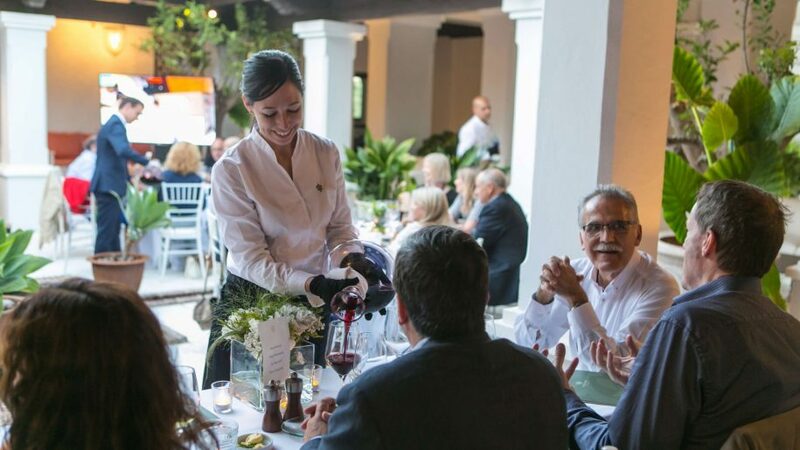 In addition to L’Olive, the outstanding restaurant in the Clubhouse, there will be other choices so that all tastes are catered for within La Reserva itself. Just in a short space of time, stepping into La Reserva will be a unique experience, surpassing anything that Sotogrande has ever offered before. It is the sweetest and final touch to magnificent Sotogrande. Of course, the homes that ultimately complete the dream are essential. This is not the place to describe them and you will find them at the forefront of our website. Suffice it to say that construction is already underway and in just a few months’ time visitors to La Reserva will bear witness to new standards of design and specification. My hopes from years ago are being realized and La Reserva is on its way to becoming that community of peace, tranquility and natural beauty I always hoped for.